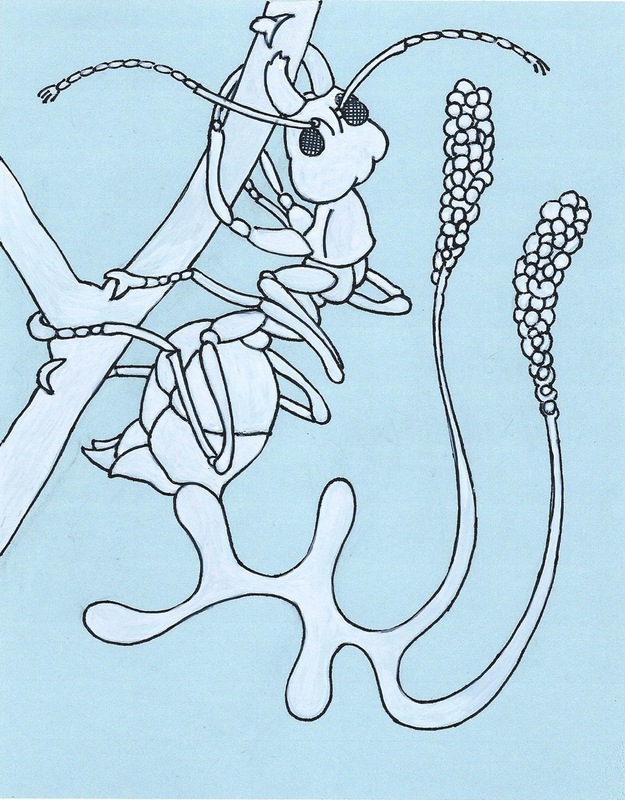 The Wobblers Encyclopedia of Parasitic Fungi was compiled by Mr. Rotifer H. Wobbler and published in 1959. It is internationally recognized as the primary resource for information pertaining to parasitic fungi. Unfortunately, Wobblers had a very short run of only 200 copies, thus it was never widely distributed beyond the world of academia. Today, due to its scarcity and value, most copies are kept under lock and key at corporate bio labs or a few select universities. Mr. Wobbler's interest in unusual botany began as child when he received a Venus Flytrap as a Christmas present from his Uncle Eugene. Under the care of the young Mr. Wobbler, the Venus Flytrap thrived on a steady diet of house flies and the occasional dollop of ground meat. While attending Laramie Middle School, the young Mr. Wobbler became enthused with entomology. Of particular interest were the very aggressive fire ants found on the school playground. With the use of a magnifying glass, the young Mr. Wobbler spent hours observing their habits. Then one day he saw an ant dangling from a blade of grass just above the mound. This ant appeared to have long horns growing from its back. The next day there were more of these ants. 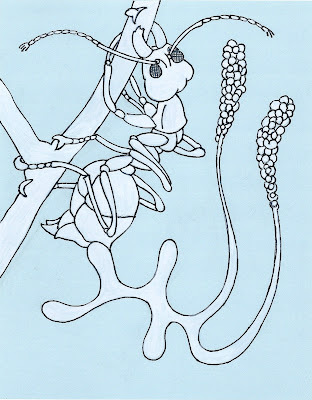 Soon it appeared that most of the colony was dangling from blades of grass, each sprouting horns. By the end of the week, the mound was completely still, surrounded by dangling dead. Completely dumbstruck, the young Mr. Wobbler was determined to discover what had happened to his beloved ant colony. He began a flurry of letter writing, reaching out to any person or institution that had anything to do with entomology. Six months later he received his answer: Cordyceps, a type of fungus that uses a parasitic stratagem to propagate. This answer opened up a whole new world to the young Mr. Wobbler, a world that quickly became an obsession and the foundation for his life long master achievement, the publication of The Wobblers Encyclopedia of Parasitic Fungi. This is fascinating!! Now I want to know more!